Long time no blog! September/October’s always mad busy at work, also the light is going and the Elf is a reluctant photographer. 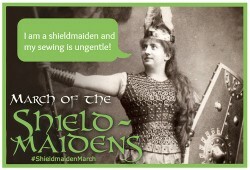 There are things in the to-blog queue, but hey! 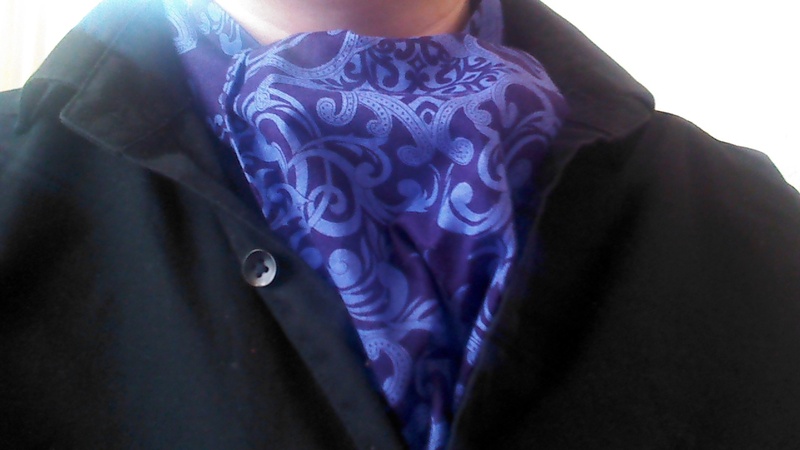 I made a cravat! 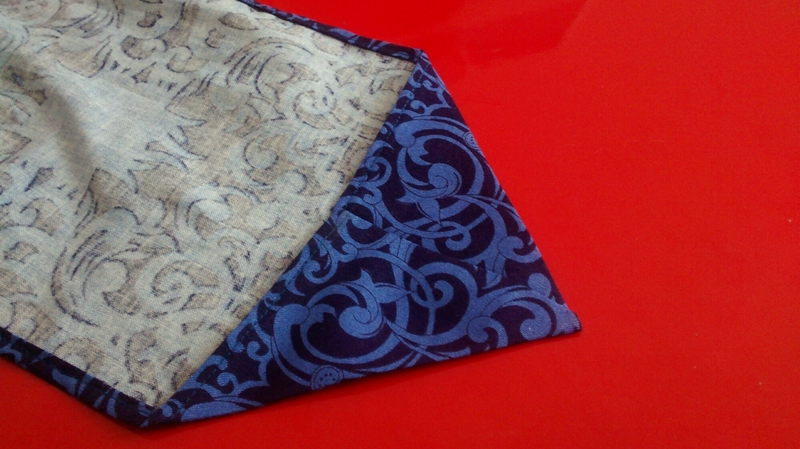 I did buy a pattern for a pre-tied cravat, but was deeply unimpressed with it and decided to draft my own. It’s basically a long strip that narrows in the middle; the full thing’s almost five feet long, but you can piece it without trouble if you place the seams so they’re hidden by the knot when tied. 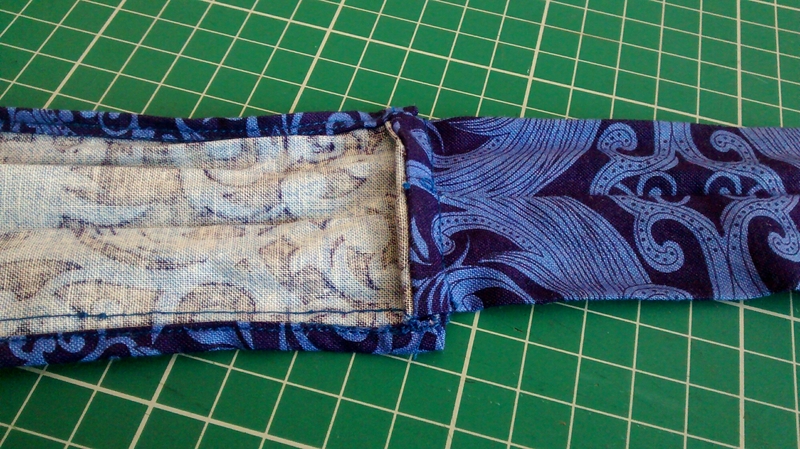 I got this one out of a fat quarter – two strips 50cm x 17cm and one 50cm x 12cm with a bit left over. 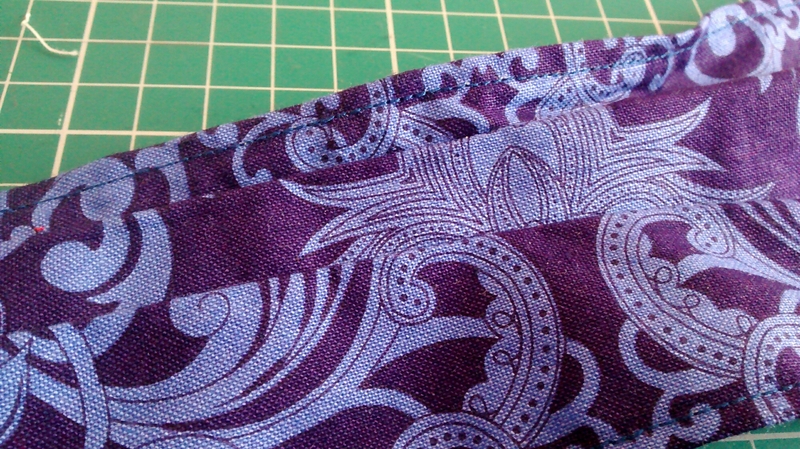 I folded the narrow piece into a tube and pressed it with the seam to the inside, then pleated one end of each wide piece to the same width plus hem allowance. (Got this slightly wrong, but eh.) 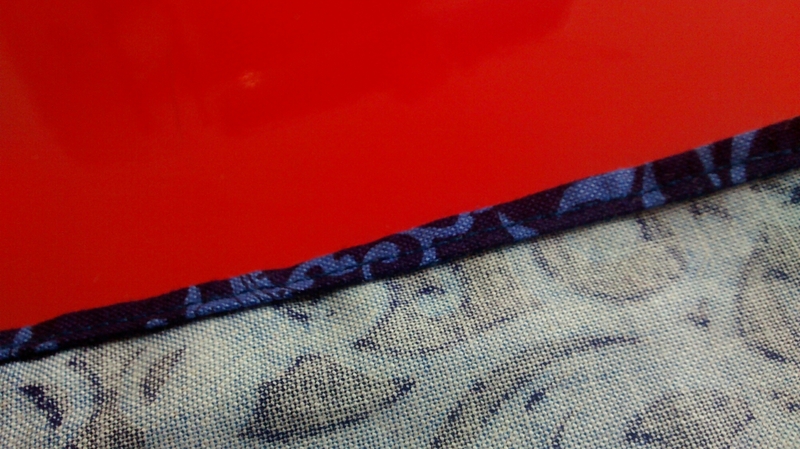 The pieces are French-seamed together. I put a narrow hem down the long edges of the wide pieces, then folded the free ends into triangles and hand-stitched the centre seam. Done! Turns out it’s really hard to take photos of your own neck. This entry was posted in sewing and tagged cravat, finished, French seams, self-drafted pattern. Bookmark the permalink. 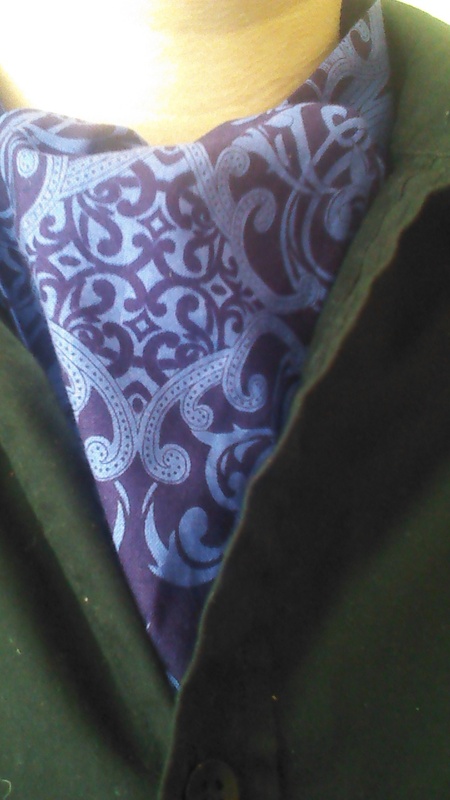 A cravat!! Would you look at that! Very cool! I share your October/November blogging problems … Queue is ever growing and not enough light! !